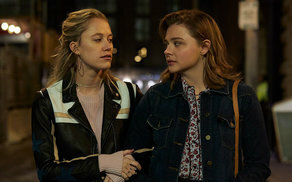 Following its successful world premiere at the Toronto International Film Festival (TIFF) on Thursday, Neil Jordan’s new psychological thriller ‘Greta’ has secured a North American sales deal with Focus Features. According to reports from Deadline & the Hollywood Reporter, an all-night auction ensued in Toronto following the film’s world premiere. Focus is said to have outbid competition that included Lionsgate, NEON and Netflix in a $6 million dollars deal that includes North America, Australia and China. Universal, who previously acquired the UK/Irish distribution rights for the film, is expected to plan a coordinated “splash” release across English speaking territories in 2019 after Jordan awarded the North American/Australian rights deal to Focus on Thursday night. ‘Greta’ is expected to be released in early 2019.